A bathroom remodel project can be one of the most surprisingly exciting remodel projects. At ProSource® of Savannah, we have bathroom design experts and high-quality products to help you get the best renovation results. 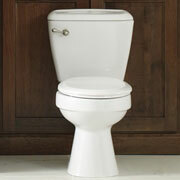 We provide affordable bathroom solutions along with the most current trends in bathroom design. 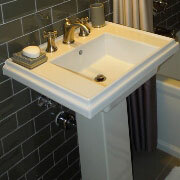 At ProSource® of Savannah, your sink selection can be as simple or as particular as you so choose. You can start with a selected style, and then select your shape, material, and color. With our wide selection of bathroom sinks from popular manufacturers, anything is possible. 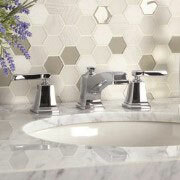 We offer a full range of sink faucet options, from the simplest to the most elegant, to match any bathroom style. Whether your bathroom has a modern or classical essence or anything in between, you can choose from a wide selection to find what fits your look best. You can make your shower design as custom as you would like with our top of the line shower products. There are many different options available for the more traditional shower types to the most above and beyond. You can let your creativity run wild or let our experts help you choose a style that fits your project and budget. 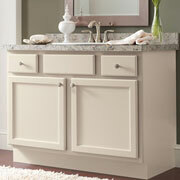 Vanities include everything from the storage and counter space to mirrors, lights, and more. At ProSource, our experts can help you find the right vanity to incorporate in your bathroom that offers the right amount of style and functionality. Traditional tub or jacuzzi tub? Stand-alone tub or tub-shower combo? 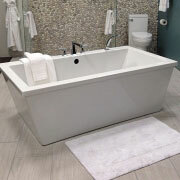 We have a plethora of options for bathtub designs. There are also a wide range of materials available to you, such as fiberglass, porcelain, marble, stone, and more. Our showroom makes it easy for contractors and their clients to explore the variety of options and choose the best tub for your bathroom renovation project. Complete your bathroom remodel with the most essential part of any bathroom. From those with eco-friendly flush ratings to an unusual flush mechanism, you can find the perfect throne to upgrade your bathroom. We serve Savannah, Georgia, and surrounding regions, including Hilton Head, South Carolina. The ProSource of Savannah showroom is conveniently located in Savannah, Georgia and serves all of the neighboring cities including Allenhurst, Beaufort, Bloomingdale, Bluffton, Brooklet, Clyo, Coosawhatchie, Crescent, Dale, Darien, Daufuskie Island, Early Branch, Eden, Ellabell, Fleming, Fort Stewart, Garnett, Guyton, Hardeeville, Hilton Head Island, Hinesville, Lobeco, Ludowici, Meldrim, Meridian, Midway, Newington, Okatie, Parris Island, Pembroke, Pineland, Pooler, Port Royal, Port Wentworth, Riceboro, Richmond Hill, Ridgeland, Rincon, Saint Helena Island, Sapelo Island, Savannah, Seabrook, Sheldon, Springfield, Tillman, Townsend, Tybee Island, Walthourville and Yemassee.